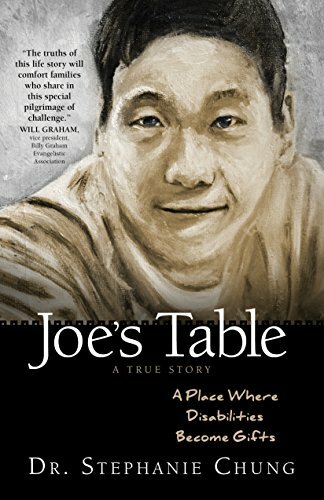 In JOE’S TABLE A PLACE WHERE DISABILITIES BECOME GIFTS, author Stephanie Chung relates the bittersweet story of her autistic son, Joseph. It was a real challenge for the entire family, but it was also a real learning experience. Here's just one example: As a young man, Joseph especially enjoyed singing songs of praise. He especially loved the “Hallelujah Chorus” from Handel’s oratorio Messiah. The family began a business called “Joe’s Table.” Table is really short for the Cross + ABLE. It really means Joseph is able to do everything through the power of the cross. Bravo, Bravo! What a wondeful example for us all.